While I’m still a bit sore, I’m so happy to share that the Love Run Half Marathon Relay was a success! It ended up being a lot chillier than I expected (go figure), but we really had a wonderful time and a lot of fun! As a 2016 Love Run Ambassador, my entry to this race was free, but you know I’ll always keep it real! 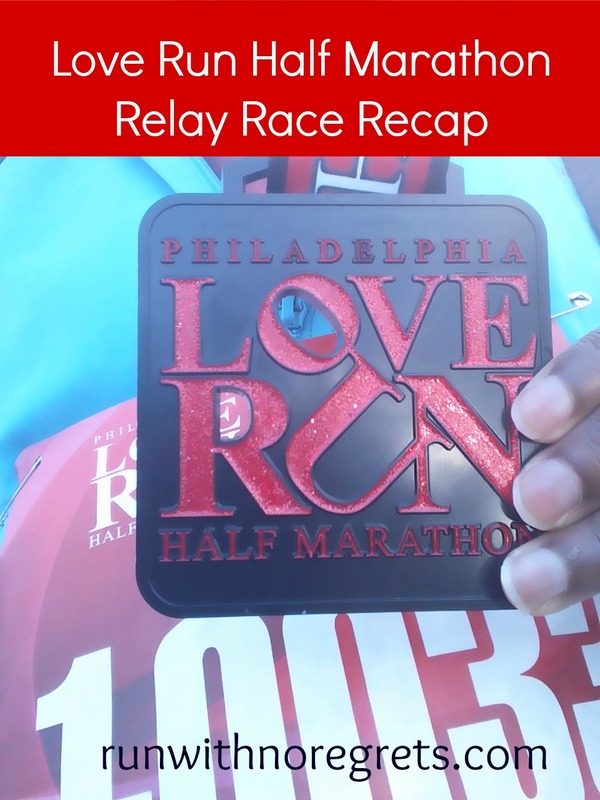 I’m sharing this recap as part of Tuesdays on the Run with Erika, Patty, and Marcia! Does it seem like I’ve been talking about the Love Run a lot these past few months? Promoting this race definitely kept me busy and has been a great way to get to know other runners. I have to admit that I’m a little sad that it’s now all over. But I’m happy that we had a great race and a wonderful day for running! On the Friday before the race, I took the Broad Street subway to head down to Xfinity Live for the bib pickup. Since I ran the half marathon as part of a 3-person relay team, I had to pick up Mark and Bret’s materials as well, giving me quite a bit to carry! When I arrived around 6 pm, things were still pretty lively. There was a live band playing and lots of people drinking at the bar. We were all entitled to one free beer with our bib pickup. I went to one of the tents to pick up our bibs and our timing chip that we had to pass to each runner on the relay. Then I spent some time gazing at all of the Love Run swag for sale. Yes, I did buy a few things, but considering I didn’t pay for the race, it was a great deal! There wasn’t anything special that I did before the race. We went out to a bar with one of our friends and hung out and I had one cocktail which was very light and refreshing. For dinner, we had Trader Joe’s dumplings, so I think I had a good amount of carbs leading to the race! We ended up going to bed pretty late, maybe around 11 pm. As always, I had my clothing laid out for the morning. I decided to stick with the Mizuno’s for old-time sake since they have been working so well on my runs lately. I also had my Merino Wool Buff to keep my head warm because the forecast was calling for the upper 20’s in the morning! The race started at 8:00 am so I set the alarm for 6:00 am. It’s really nice when you can literally walk out of your door and head to a race. Of course, it makes it a lot harder to get out of bed in the morning when you’re so close! I’m really going to miss this convenience when we leave the Art Museum area to buy a house. First, I had to meet up with Mark, who was running the first leg of the race, which was 3.9 miles long. He was trying to find parking so I met up with him and handed him his swag, the bib, and the chip. It was connected to a velcro strap that we could wear around our ankle or wrist during the run. There were no instructions on how to actually use it, so we did the best we could. I had to meet with the Love Run Ambassadors for a group photo at 7:20 so as always, I was in a hurry. Bret and I separated quickly and I was able to finally meet some of my fellow ambassadors. After the photo, I ran to get on one of the buses since I was the third leg of the relay and we had to be driven to our starting point around mile 9.5. Did I mention that it was really cold outside? It was really cold outside. Thankfully, it wasn’t breezy like the previous week’s Cherry Blossom Run and at least it looked pretty outside! We were told that the buses would leave at 7:30, but it wasn’t until around 7:45 when we left the Art Museum area to get to our relay exchange point on MLK Drive. Fortunately, the bus was warm! No one really knew what was going on and after an interesting drive on I-76 and through West Fairmount Park, we were “released” from the buses. Oh. We ended up walking down a pretty steep hill near the 9-Mile mark to our exchange area. Finally, there was some clarity of what was going on. There were signs posted for people to stand based on their bib numbers, and on the main half marathon course there was a point where our teammates would cut over to us, exchange the timer chip, and the next runner would continue on the course. It was a long wait. I knew that Mark would be running somewhere around a 9:30-10:00-minute pace and Bret’s goal was to run his 5.6 miles at a sub-8:00-minute pace, so I guessed that I could be waiting for an hour and a half. MLK Drive is absolutely beautiful, but we were really in a remote area, it was cold, and it was boring. What wasn’t boring was seeing the first half marathon runner (and eventual winner) making his way towards us. There was NO ONE near him. We cheered as he flew past and then more runners started to come along. Eventually, the first relay runners were taking off. It was really hard for me to gauge when Bret would be coming, but knowing his speed, I knew it wouldn’t be much longer! As runners would come towards the Exchange area, the volunteers would call their bib number using a megaphone so that we would be ready. It was pretty entertaining watching some of the other runners trade off – you would think some of these people were Olympic athletes, LOL! Finally, I saw Bret. He handed me the strap, I gave him my heat sheet and I was off! I’m pretty sure I’ve mentioned this before, but I really don’t like running short distances. I’m terrible at pacing and tend to burn out too soon, so I wasn’t pleased that I started out with what felt like it was a little too fast. I ran with my phone in one hand and my chip in the other since there wasn’t any time for me to figure out how to put it on during our exchange. On top of that, I ended up having technical difficulties with my music, even though I was playing the music from Spotify on Airplane mode. Go figure. But despite those minor complaints, the greatest thing about running the last leg of the race was that for once in my life I got to feel fast! 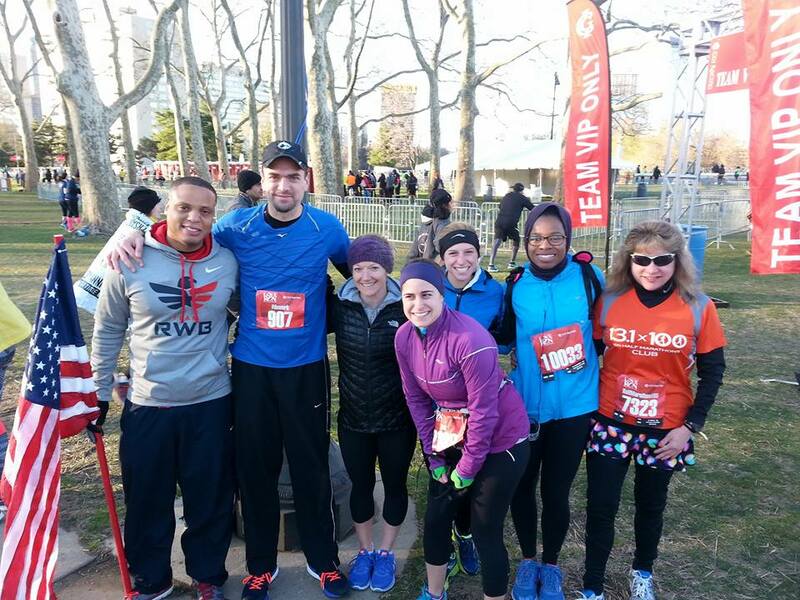 It was mind blogging to me that I was running with people who were at an 8:30 pace for the entire 13.1 miles! They really kept me motivated to keep up with them, and let me tell you, it was NOT easy. I was huffing and puffing most of the distance and found it amusing that the spectators kept saying we were almost done considering I had just started running! It was a real mental and physical challenge to keep pace, but somehow I knew that I could keep going. I got to see a few City Fit Girls cheering us on and carrying signs, which was really encouraging! It’s always great to see people who you know during a race…it gives a nice boost. As we made our way towards the last bridge, someone told us that the 8:30 pacers were behind us and to keep pushing because we were almost there. Finally, I can see the finish line. My legs were pretty tired so I couldn’t push as hard as I normally do at the end, but I did finish the race with a smile on my face! Based on my Nike+ watch, I ran 3.74 miles in 32:27, an average pace of 8:41 minutes/mile. My first mile was at 8:30 and I hit 3 miles in 26:04, which is definitely one of my fastest ever! According to the official results, Team Run With No Regrets ran finished the relay in 1:53:55. We placed 24th out of 206 teams! Unfortunately, our race times for Mark and Bret didn’t get calculated, so we don’t know for sure exactly how fast they finished. After the race I knew I was on my own so I got my medal, picked up a bag of food, and waited in line to get a free massage from Philamassages. I texted Mark and he was happy with his performance in the relay. Bret didn’t have his phone so I had no way of finding him. I tried to find out where the buses brought people back, but later Bret told me that he just ended up walking back to the finish area since he wasn’t told where to get on the bus once he finished. I did get to see my friend Tom, one of my OG running buddies, who ran the half marathon in about 2:08. He hasn’t been running for several months, but he has run a sub-3:30 marathon so I knew he wouldn’t be crawling through the course. I think I may have motivated him to start running with us on the weekends again! I forgot my photo ID so I didn’t get a free beer in the tent area. The signage wasn’t very bold so I think people had difficulty finding it. Either way, I wasn’t too disappointed. I walked home, dropped off a few things and then went to Jack’s Firehouse to meet the Love Run Ambassadors for post-race celebrations, which was treated by CGI racing. I had one beer, a Walt Wit, and I have to say it was pretty glorious! It was great to chat with the ambassadors and meet Colleen from Live Free and Run. We are both also ambassadors for Rock N Roll and ZOOMA, so I’m sure I’ll be seeing her again soon, hopefully in Cape Cod! Then I went home, ate some French toast and fruit, and tried to relax for the rest of the day! The winner of the Love Run all alone! The Love Run Half Marathon Relay was a really fun experience and I’m glad I got to be part of the inaugural relay. While there are still a few kinks that need to be worked out, it was an overall success! I highly recommend this race! A challenging but beautiful course. 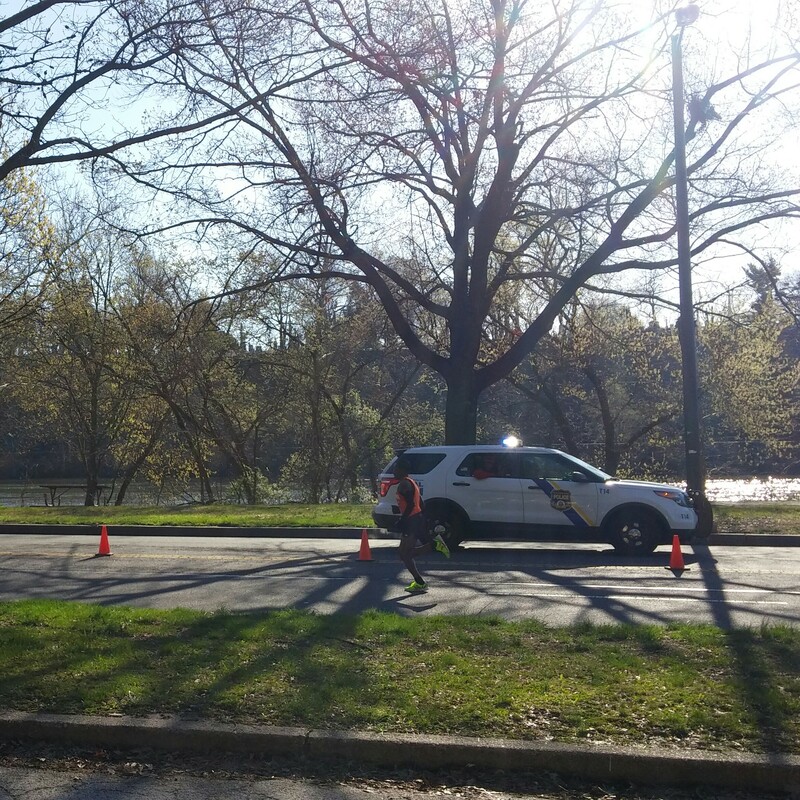 This is one of 3 major half marathons in Philly and I have to say that I like that the Love Run is a little bit different. Better yet, there’s no running on Kelly Drive (it gets old)! Beautiful medal. No complaints here! It is definitely one of the nicest medals I own! Amazing swag! I loved all the T-shirts, the mug, and the beer glass. I also thought that overall the gear was fairly priced. Great Bib pickup party. 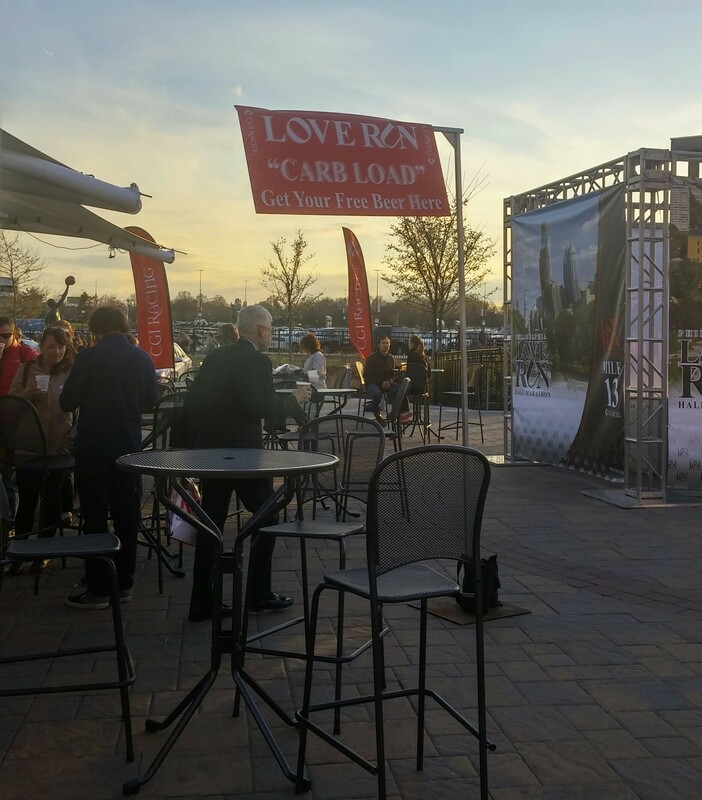 It was such a cool idea to have the pickup party at Xfinity Live where you could also get a free beer and purchase food. While the lighting could have been better inside the tents, everything went very smoothly and there were plenty of vendors. Post-race massages! This is always a treat that I appreciate! Free beer after the race. While I didn’t get to indulge this year, beer tents are all the rage at races and they can be a fun time if you’re a drinker! Excellent treatment of the Race Ambassadors. I truly appreciate how the race organizers treated us so well. Overall a great value. If you signed up early enough, you could have paid $55 to run this half marathon with prices gradually rising to $100 before selling out. As you can see, you really do get a lot for your money! The long wait to run leg #3 was frustrating. It was a cold day and it would have been nice to have some type of entertainment for us while we stood around waiting for our runners. I did appreciate the heat sheet, even though it didn’t warm me up at all. Lack of communication made things confusing. At points, I felt very confused leading up to and during the race. While we did get a couple of emails leading up to the race, the Relay logistics were never fully clarified. On race day, the volunteers didn’t really give us too much information or any announcements so I pretty much had to look around and pick up clues to know what was going on. Tough to navigate after the race. Once you finish the race, it’s very confusing to figure out where you go to get your snacks or how to locate the beer tent. I was really frustrated that I couldn’t find Bret after the race and he ended up going home without me. The post-race food wasn’t the best. I don’t race for the food but the bananas were bright green and the soft pretzel wasn’t exactly soft (though I ate it anyway). I did save my Tastykake for later! First, I have to thank CGI Racing for selecting me as a Love Run ambassador. It was an absolutely joy to be able to promote this race and now that I have crossed the finish line, I’m proud to say that I’ve participated and am looking forward to coming back next year! I’m happy that I could save $5 on registration for at least 160 runners! I really enjoyed the relay concept and Mark and Bret were the perfect partners. I think we made a very balanced team. I am still really excited that I got to finish with such fast runners! It was really motivating. 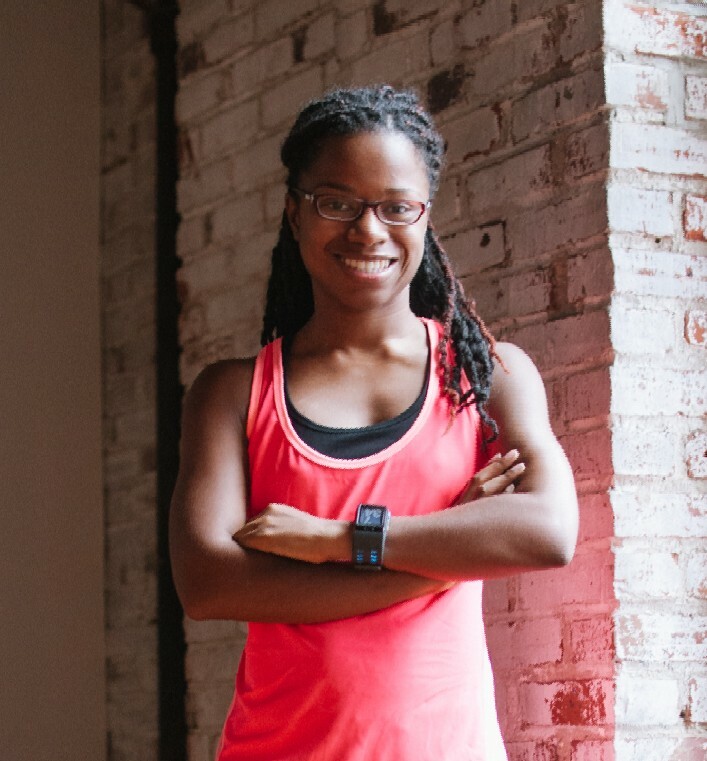 I also want to congratulate all the winners of free entries to the Love Run Half Marathon – Billie, Robin, Jessica, Sarah, Kristen, Emily, and Brittany! 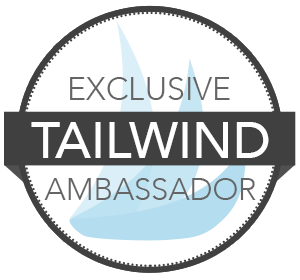 I was able to connect with a few of them either in-person or online and they all seemed to have a great experience! I’m so glad that I was able to give back. And last I want to give a shoutout to everyone who encouraged me, cheered me on, and wished me well for this race. It has turned out to be a very good year for running for me so far! I feel blessed! It was a great day and I’m glad that I was able to run well and have a good time with friends and loved ones. 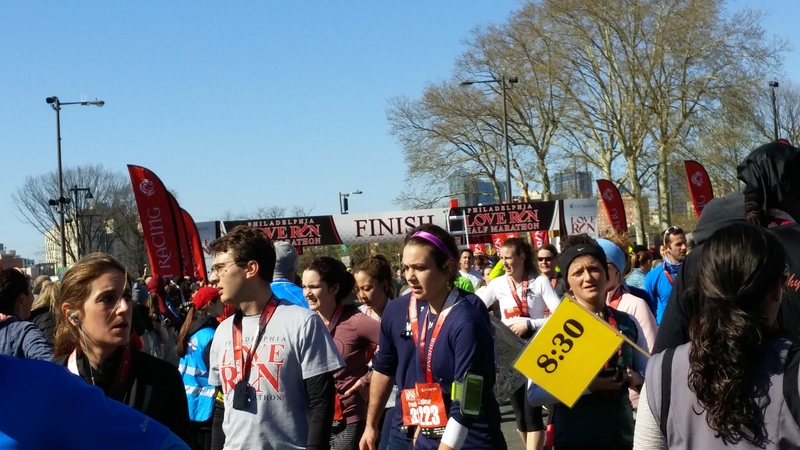 Congratulations to everyone who PR’d and had a great race at the Love Run Half Marathon! Did you race this past weekend? Do you prefer running shorter distances or longer distances?